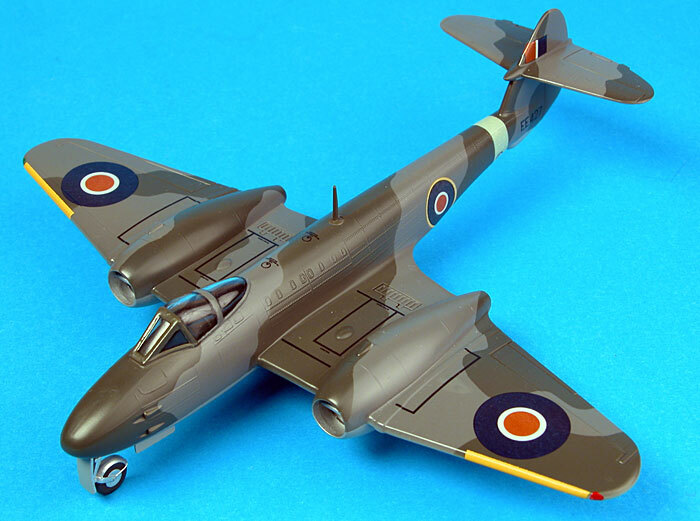 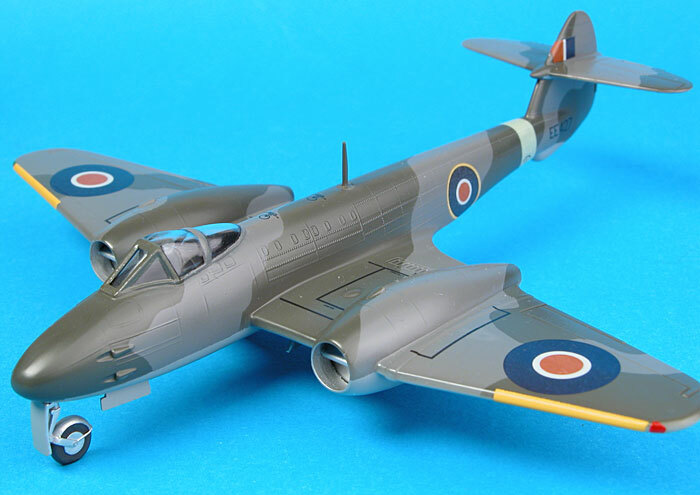 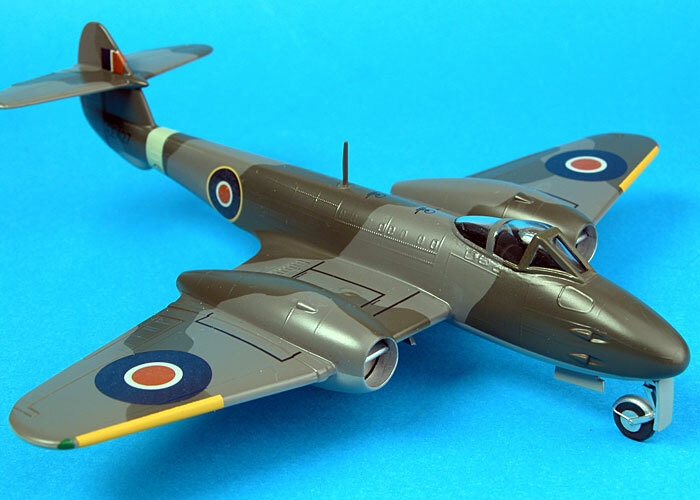 Here is the old Airfix Meteor F.Mk.3 in 1/72 scale built by Allan Withers. 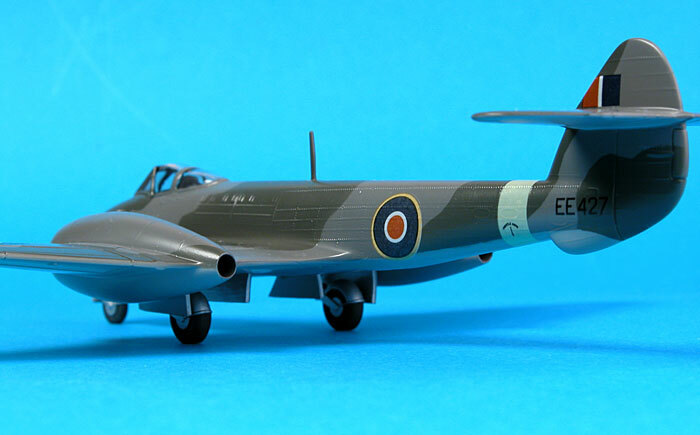 The Meteor is finished in Humbrol enamels as per the instructions with 163 Dark Green and 106 Ocean Grey upper, and 165 Medium Sea Grey lower surfaces with a top coat of Tamiya clear enamel with some flat base added to give a satin finish. 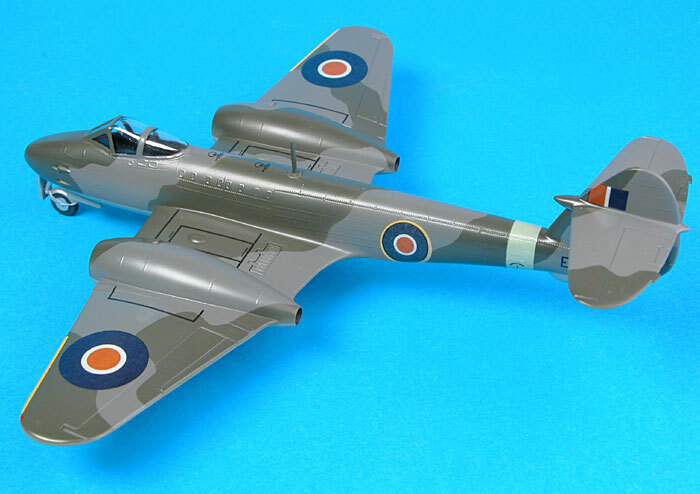 Decals were modified to represent EE 472 / A 77-1 of 1 Aircraft depot RAAF Laverton in 1946. 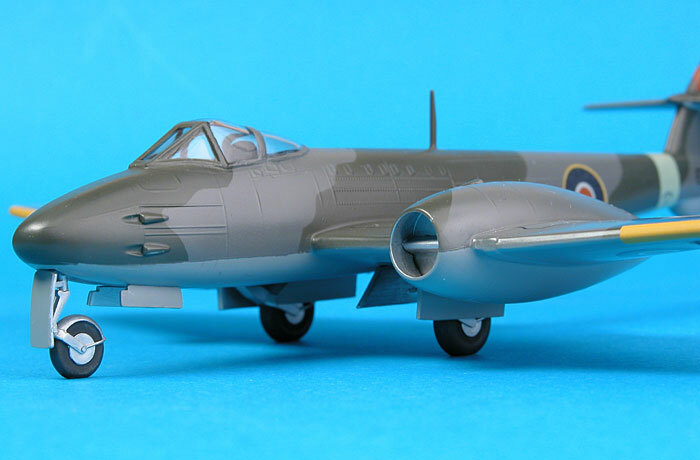 The canopy is finished in Future. 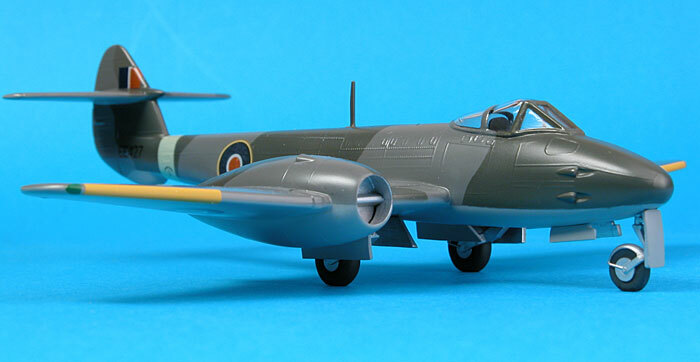 This model was photographed at the recent NSW Scale Model Expo 2004 at Koonawarra south of Wollongong.